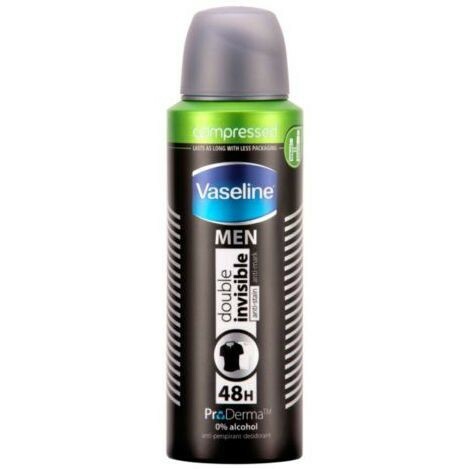 Vaseline Double Invisible, with no white marks formula, provides all day long protection for you and your clothes. Developed to help prevent both white marks and the build up of yellow stains on white clothes, keeping them white for longer. Contains ProDerma, our unique skin caring complex which can help protect the underarm skin. 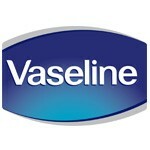 Alcohol free, non sting formula and dermatologically tested, suitable for sensitive skin. Butane, Isobutane, Propane, Cyclopentasiloxane, Aluminum Chlorohydrate, PPG-14 Butyl Ether, Parfum, Disteardimonium Hectorite, BHT, Propylene Carbonate, Helianthus Annuus Seed Oil, Lecithin, Cholesterol, Tocopherol, Citric Acid, Alpha-Isomethyl Ionone, Benzyl Alcohol, Benzyl Salicylate, Butylphenyl Methylpropional, Citral, Citronellol, Geraniol, Hexyl Cinnamal, Limonene, Linalool.